I thought I would leave you with one final glorious picture from this weekend. 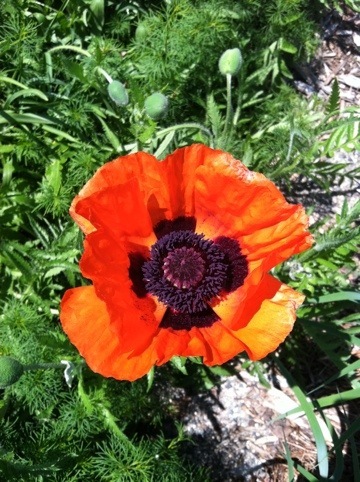 Our neighbor Margaret grows several patches of poppies along the west side of our yard. They are so ethereal and vibrant, flamboyant even, yet tissue thin. I adore them. 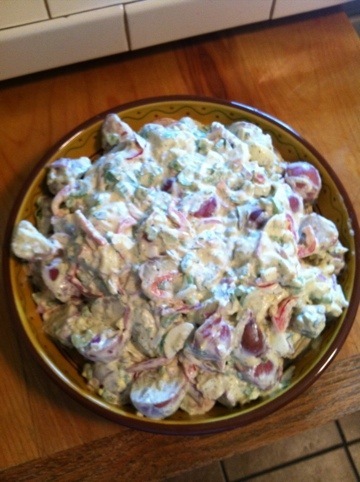 The first potato salad of the season, my own personal “starting line” – summer is officially here! Tonight we will share it with friends and neighbors, along with some grilled chicken and mint tea from our very own patch.